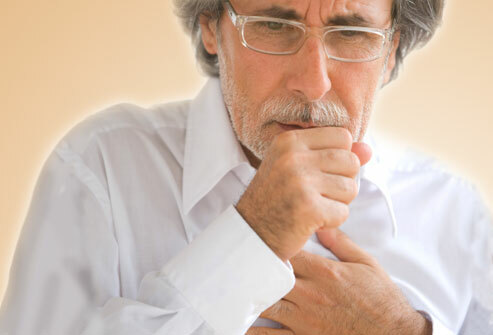 A common symptom of respiratory problems is your chest hurting when you cough. Your lungs play a large role in your everyday life and are used on a regular basis. Any infections or ailments that affect your lungs may cause severe pain when you cough. Whatever the cause is, it is best that you get medical help as soon as possible to have the condition evaluated and treated to prevent any serious complications from happening. My Chest Hurts When I Cough, What Is It? Injury to your sternum may cause an inflammation within your chest. This inflammation, in turn, can lead to chest congestion, and severe coughing. You may also experience a burning sensation in your chest. Excessive coughing causes your chest muscles to become overworked and inflamed. You can eventually damage these muscles causing there to be even more pain the next time you have a coughing fit. If the coughing is due to whooping cough, you may even experience discomfort on the sides of your chest. Most of the time, the muscles will heal on their own once they get a chance to rest. Viral infections in the respiratory system could be the reason for "chest hurts when I cough." The common cold and influenza are the two most common infections. These both come with fevers, difficulty breathing, and congestion in the chest. The sneezing and wheezing may also cause sharp pains in your chest. If you are experiencing the flu, you may also notice that you have headaches, muscle aches, and stabbing chest pains. Acid reflux is caused when the gap between your esophagus and stomach does not close fast enough. As you eat, the food goes from your mouth, down your throat, through the esophagus, and into your stomach. When the last gap does not close fast enough, the acid from your stomach will enter into your esophagus. You will experience a burning sensation in the chest or stomach area as well as painful coughing and acrid burping. Tuberculosis is caused by the bacterium known as mycobacterium tuberculosis. When a person contracts this disease, they will most likely tell their doctor, "My chest hurts when I cough." This is because their immune system is weakened and they are experiencing a severe infection in their lungs. It is highly contagious and symptoms include fever, fatigue, loss of weight, and a painful cough. Asthma creates a constant cough accompanied with chest pain. It is a chronic lung disease where the lungs are inflamed without being introduced to a virus or bacteria. The airways become swollen causing you to wheeze and cough. Most cases of asthma are allergy induced. Bronchitis occurs when the bronchial tubes become infected by bacteria or virus. As the bronchial tubes become infected, the airways become restricted making it extremely difficult to breath. Acute bronchitis generally comes in the aftermath of a cold or other respiratory ailment. Chronic bronchitis is most often caused by allergies and asthma that have created long term inflammation within the bronchial tubes. Pneumonia affects millions of people each year, and could be the answer to your doubt of "chest hurts when I cough". There are many causes of pneumonia; however, the symptoms are very similar – severe coughing, inability to breathe properly, chest discomfort, fever, shaky body, foggy mind, sweating, lack of appetite, and headaches. You will have pain and more coughing as the lungs fill with fluid causing a chronic cough. It is treatable; however, if left untreated, it can be deadly. Emphysema, often referred to as the smoker's cough, occurs when the alveoli becomes inflamed. These are the air sacs in the lungs that pass oxygen from the air to the bloodstream while carbon dioxide is removed. When the alveoli are impaired, the oxygen exchange is decreased and excess carbon dioxide causes breathing problems. The painful coughing is accompanied by chest pain which may worsen with breathing and coughing. Pneumothorax is another respiratory condition which is most commonly known as collapsed lungs. It is caused when the air enters the area between the chest and outside of the lungs making it difficult for the lungs to properly expand. Most of those who suffer from pneumothorax will have excessive pressure on the outside of the lungs, causing a great deal of pain and shortness of breath. Being unable to breathe properly creates extensive coughing as your body tries to get the air that it is missing. Most cases are caused by other factors such as an injury, tuberculosis, or pneumonia. What Should I Do If My Chest Hurts When I Cough? Chest pain and burning that accompany a cough should never be put aside. They can be indications of a more harmful infection or disease. Your lungs are one of the most important organs in your body, when they are ill your whole body feels it. They also directly affect your breathing; if they are inflamed or infected, you will experience coughing as well as many other symptoms. It is important that you visit your doctor so that they can run the proper tests and take x-rays to give you a proper diagnosis. Once your doctor has determined your ailment, a proper treatment plan can be put into place. You will experience some pain, whether it is dull or sharp, as mucus builds up in your respiratory system causing severe bouts of coughing. It is important that you do everything you can to get rid of the mucus build up. Drinking plenty of water and inhaling steam are the best things you can do to alleviate the mucus buildup. Maintaining a healthy diet and avoiding smoking will also aid in relieving the buildup of mucus. You also need to avoid dairy and milk products when you do have mucus build up as they improve the production of mucus. Painkillers such as aspirin, naproxen, and ibuprofen will aid in relieving the pain and swelling. If you are experience consistent coughing, taking a cough syrup will help relieve the coughing and chest pain. What Causes Sharp Pains Under the Left Breast? What Causes a Pain in Left Arm and Chest?